If the solubility of a solvent is not decreased by lowering the temperature, the appropriate degree of solution super-saturation can be achieved by evaporating some of the solvent. 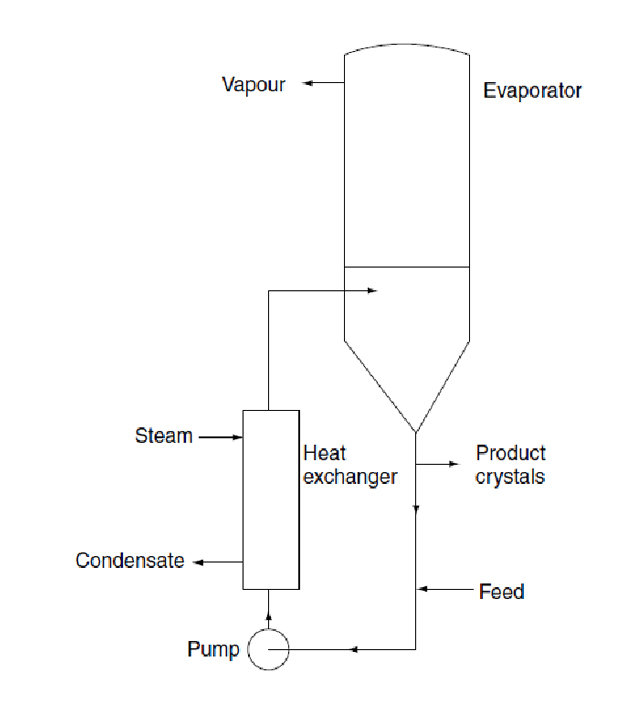 Evaporative Crystallizers are usually operated under reduced pressure to aid solvent removal, minimize heat consumption or decrease the operating temperature of the solution and these are also described as low pressure evaporative crystallizers. To generate recirculation, an external heat exchanger is used with a high recirculation rate operated pump. 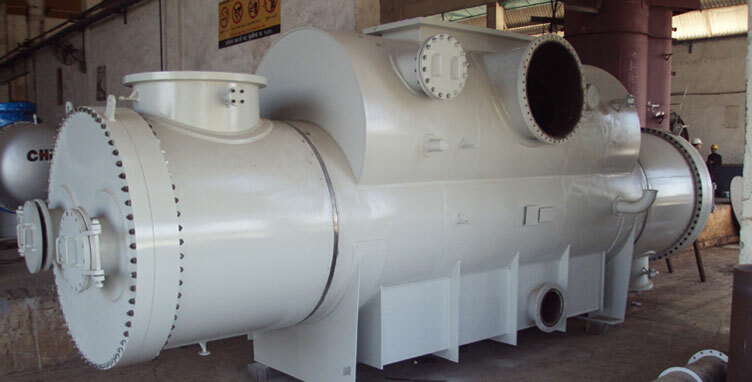 Such kind of evaporators are generally used in many sugar refining and salt generation units. 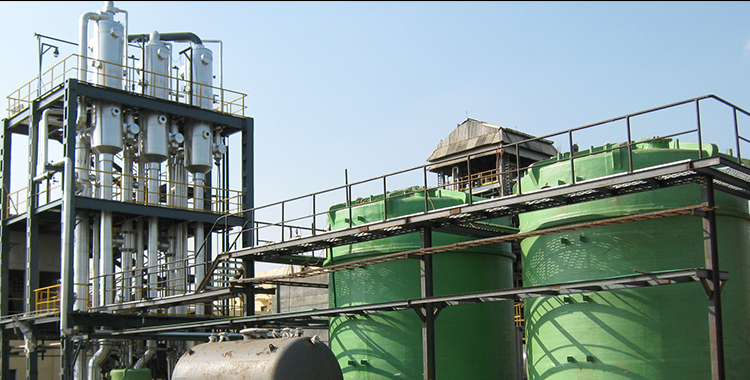 Forced Circulation Crystallizers are of the Mixed Suspension, Mixed Product Removal types and operate either on controlled or natural slurry density, depending upon process requirements and/or unit material balance. These systems can be either of single or multiple effects and with which thermal or mechanical vapor recompression concept is often applied. Usually, they operate from low vacuum to atmosphere pressure. Almost any material of construction can be considered for the fabrication of these crystallizers.